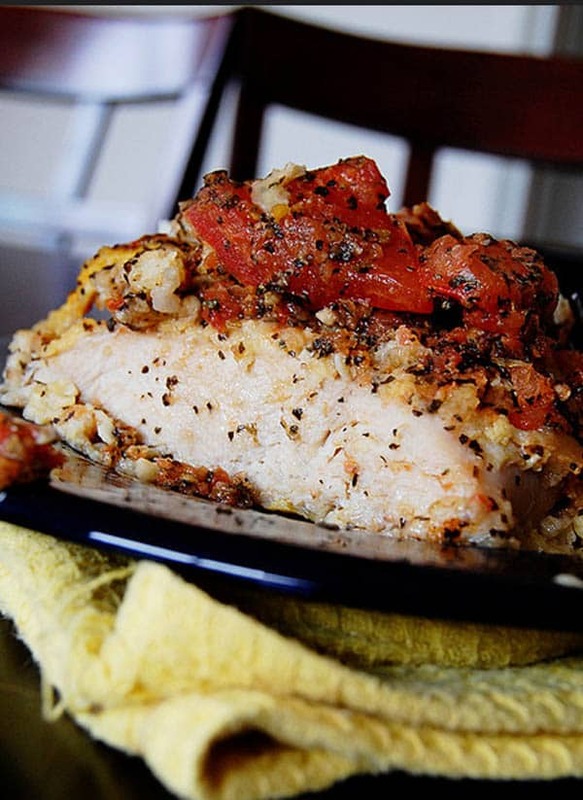 Healthy Baked Bruschetta Chicken Recipe In 45 Minutes! A picture tells a thousand words and this one told me bake it and eat it. 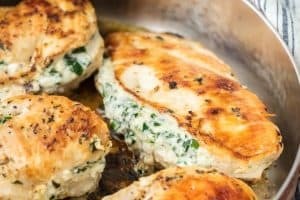 This is a great Baked Bruschetta Chicken Recipe, and in under 45 minutes to bake and prepare is a real bonus. another bonus is that its healthy. Tomatoes are a great source of Lycopene which is aprt of the red pigment and is supposed to be good for prostate health. 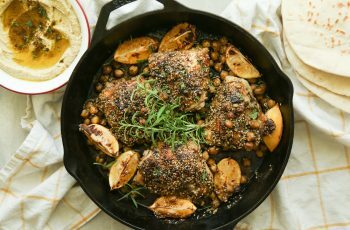 I am a fan of garlic and this herb is one of my all time favorites. A 2014 meta-analysis of observational epidemiological studies found that garlic consumption is associated with a lower risk of stomach cancer in the Korean population. Similarly, a 2013 meta-analysis of case-control studies and cohort studies found limited evidence suggesting an association between higher garlic consumption and a lower risk of prostate cancer. So making use of this herb makes great sense. 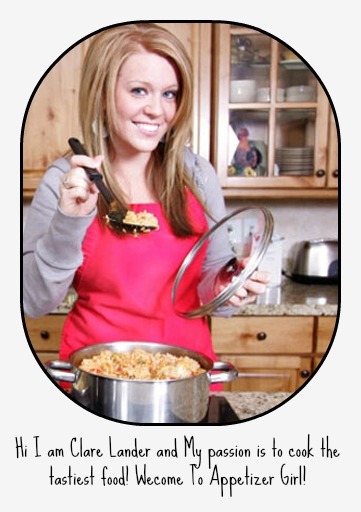 The recipe is pretty straightforward below so please give this one a try. I hope you like this one and share it with your friends. Preheat your oven to 375 degrees. Grease a 9x13 baking dish. Place the flour & the beaten eggs into separate shallow bowls. Dip the chicken into the flour, and then into eggs. Place into baking dish. Bake for about 30-40 minutes, or until top is browned and the chicken is cooked through. Chop tomatoes and combine with last ingredients. 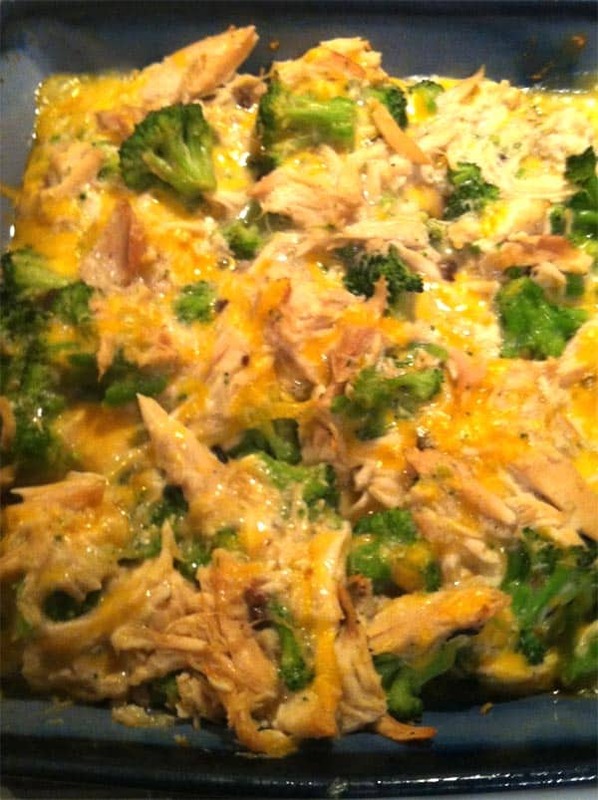 Easy Chicken Broccoli Casserole In Under 30 Minutes – Only 5 ingredients! Hi! I am working with a wellness client called Live Healthy America (www.livehealthyamerica.org). They work with employers to deliver content to help create a healthy workplace and lifestyle. We are re-vamping their content portal in 2016 and I would love to feature some of you recipes on the portal. They are working hard to educate, inspire and motivate people to change unhealthy behaviors and I know your recipes would resonate well with our audience.